Cumberland Healthcare is pleased to offer a selection of laboratory tests through Direct Access Lab Testing. Tests are conducted by the Cumberland Healthcare Laboratory and are designed to evaluate your current health status through a simple blood draw at a discounted rate. A physician’s order is not required. Direct Access Lab Testing is for patients who want to learn about their health status without large out-of-pocket expenses. 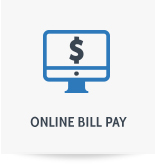 It allows individuals to request laboratory tests and receive results without a provider’s orders or insurance involvement. Patients are responsible for getting test results to their provider. Patients will receive educational information along with their test results. Direct Access Lab Testing is available Monday through Friday from 8 am to 4 pm at the Cumberland Healthcare Hospital Laboratory (1110 Seventh Avenue, Cumberland) and at the Cumberland Healthcare Turtle Lake Center (632 US Highway 8, Turtle Lake). 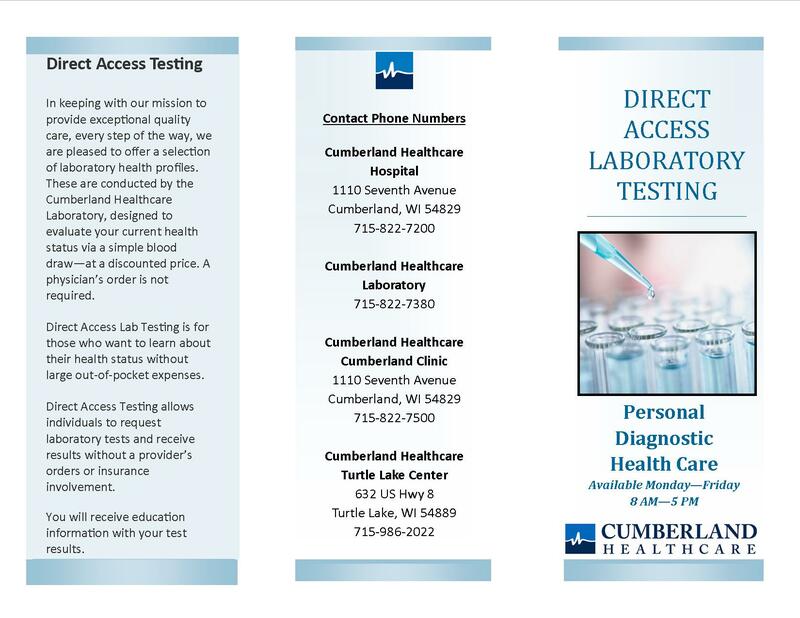 For more information about Direct Access Laboratory Testing, call the Cumberland Healthcare Laboratory at (715) 822-7380.